Are you searching for emergency board up? 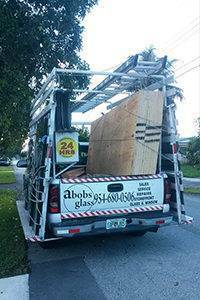 At A Bob’s Glass and Repair we are the number #1 Floridas emergency board-up service when you need to secure your property or building at a rapid pace but confidently. There are many reasons you may require our emergency or regular services. 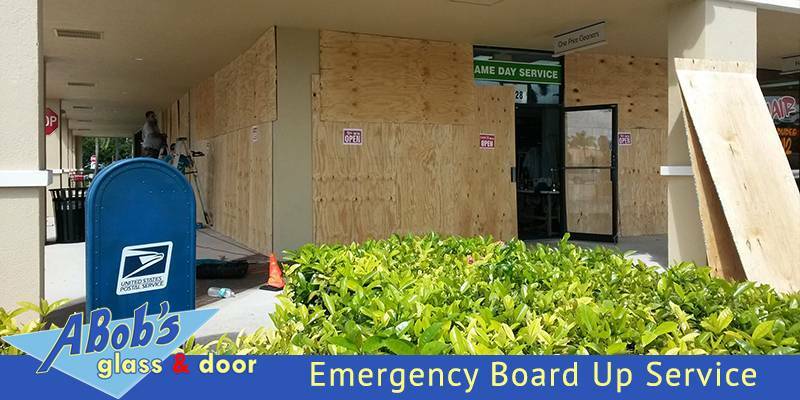 We are the industry leaders of emergency board-up services in Miami, Broward, and Palm Beach Counties. A Bob’s Board-Up Services is a fully licensed & and insured, dedicating to our customers all the time they need to complete the work for their peace of mind & satisfaction. We use quality materials, and our workmanship & experience far exceeds our client’s expectations. We understand that fire, vandalism, water damage or any other weather disaster may befall on you unexpectedly. At the time, you may not be prepared to deal with a window or door replacement, so a boarding up service is the best solution for your property safety. 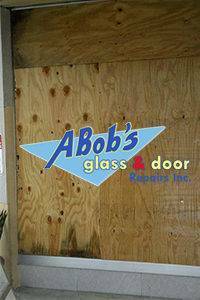 At A Bob’s Glass & Repair we will put your property together for your peace of mind. That’s where A Bob’s Board Up Services comes in. We give you an instant peace of mind with our emergency board up service and securing your property at either home or office. We go the extra mile to provide and taken care of your offices or any property that needs emergency board up services any time of the day and any day of the year. As a family business with more than ten years of experience in the glass replacement industry, we guarantee 100% satisfaction in all our work. Call us today at (954) 680-0506 and our crew will be at your doorstep within half an hour of your phone call!